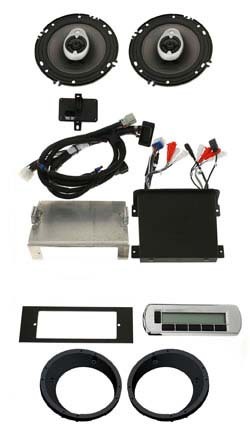 Upgrade your Electra Glide or Road Glide Stereo System! HSWR-7252-XTC: Blow away those overly-heavy, inefficient bracket-breakin 6.5's ! 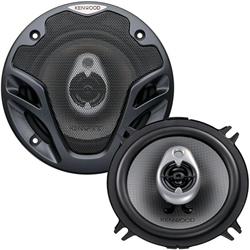 NEW ROKKER XT series 7 ¼" round sub-woofers are large diameter dedicated low-frequency speakers, with cone volume and mass comparable to a 6X9" speaker. Spec'd at 2 ohms impedance, 40-3khz frequency response and 200 watts max power, these new subs provide the ultimate in bass response & low-frequency audio power. 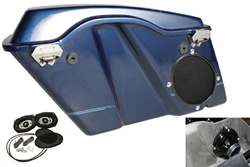 This custom kit allows these ne sub-woofers to be mounted down into the rear portion of the stock Harley saddlebags, while leaving more than 75% of the saddlebag storage area available for normal luggage. Custom designed grillwork for mounting in the rear saddlebag position, with mounting spacers, weatherproof gasket seals & protective rear luggage cowl. SU-9: The ever popular Plug-and-Play Electra Glide Stereo Upgrade Kit now comes with the exclusive LCD Screen Stereo and 6 ½" Speakers and Adapters! The satellite radio ready, MP3 capable AM/FM tuner is equipped with a waterproof, chrome faced LCD screen display, providing clear visibility in direct sunlight or night. The 1GB (1000MB) internal hard drive stores your MP3 files, holding 300-400 songs! Or just run the USB cable included into your saddlebag for easy plug-and-go MP3 players, no need to purchase a separate Ipod adapter. Upgraded, JBL 6 ½" weather-resistant speakers with adapters are included, replacing your smaller, stock speakers. Interface module for using your stock stereo hand controls and all mounting hardware are still included. Plug right into your factory wiring harness and easily switch between all media on your handlebars! SU-S: Never be on the road without commercial free tunes or a way to get the weather channel! 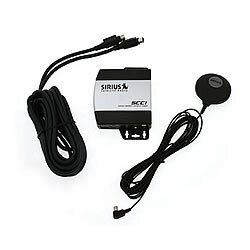 (Fits new LCD Screen Stereo for detachable fairings, compatible with hand controls kits, SIRIUS subscription required). SU-C: When you're riding out into uncharted territory, it always helps to have a compass! 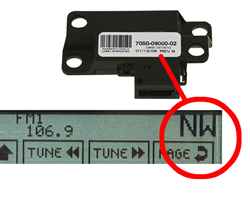 Keeps you on the right track by displaying one of 8 directions on the right side of the new LCD screen stereo. North, South, East, West, Northeast, Northwest, Southeast, Southwest. (Fits new LCD Screen Stereo for factory or detachable fairings).